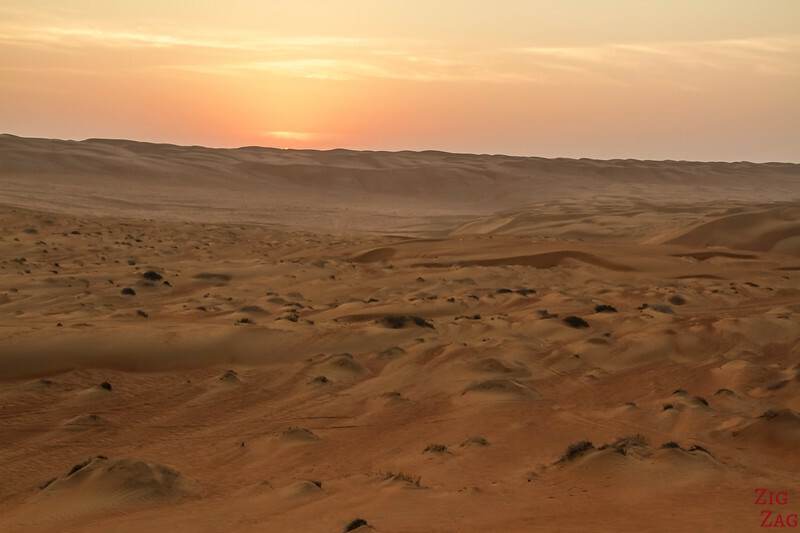 Not far from the sea, the sand dunes of Wahiba Sands Oman stretch from North to South over 180km. As in all deserts, spending the night in such an isolated environment is a bliss. 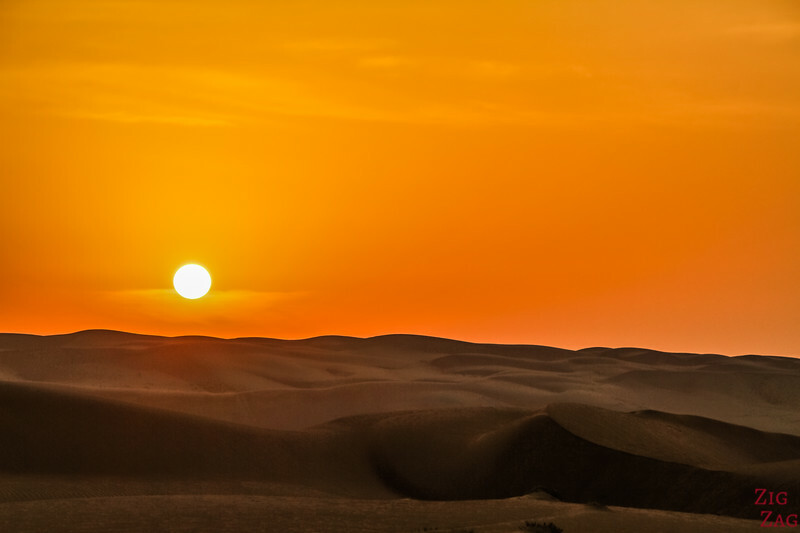 Discover its beauty with sunset and sunrise pictures. Below is Guide with many photo to help you plan your visit including access and accommodations. 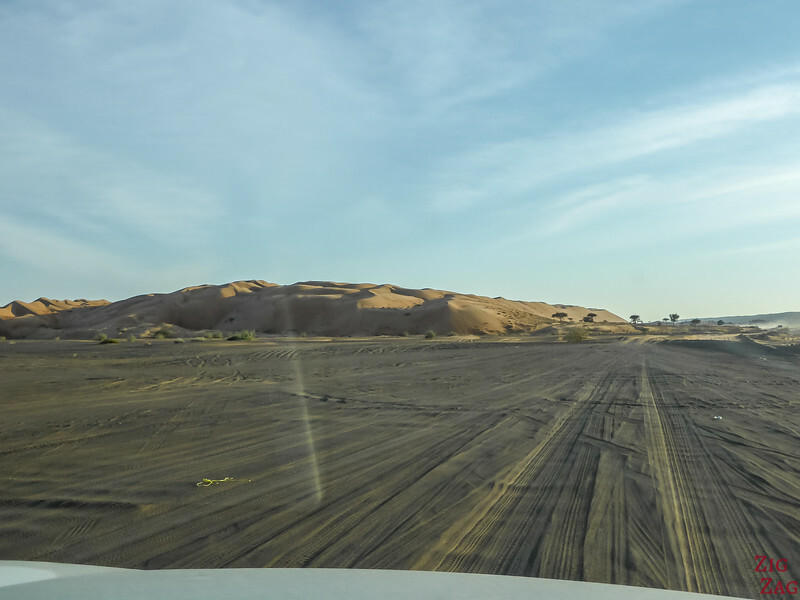 Before with discuss how to visit the Wahiba sands desert, let's start with a short video of my drive into Wahiba Sands and the night I spend wild camping in the desert. 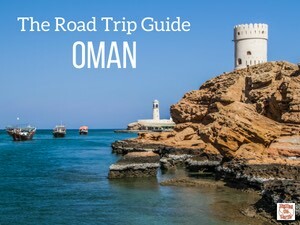 You will see why it became one of my top﻿ places to visit Oman. 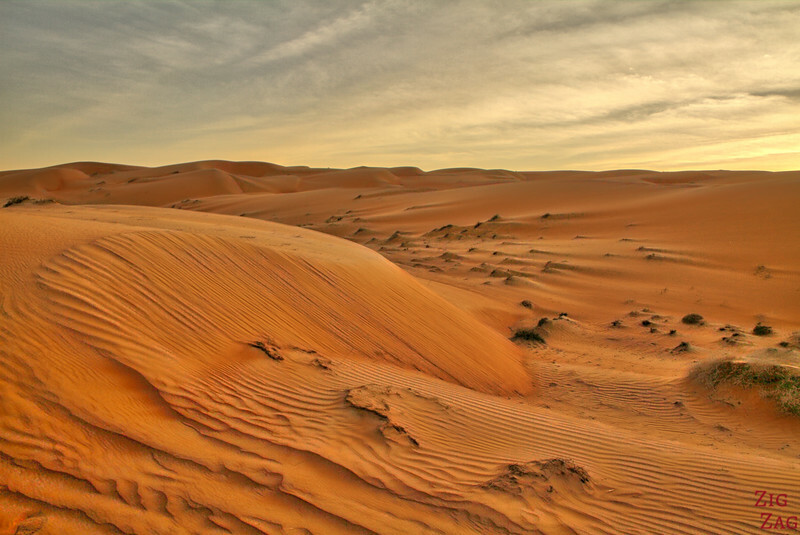 Most of Oman is covered by desert or semi-desert environnement. 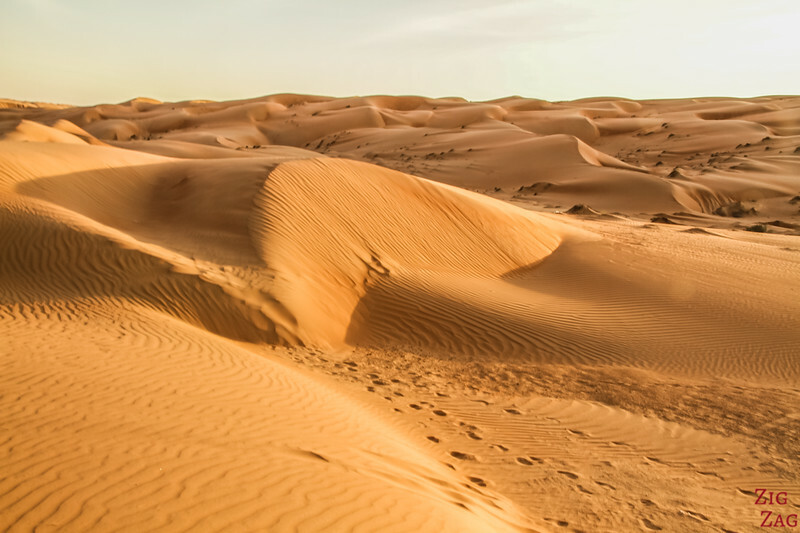 The largest desert is actually the Empty quarter that expands on a large portion of the Arab peninsula. However you need to get a lot more South to reach it. 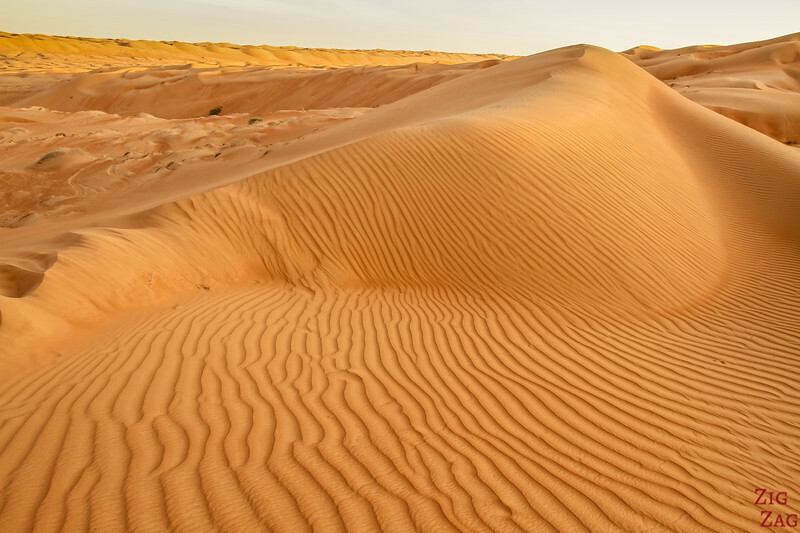 However in this article we will focus on the wonderful Wahiba Sands, also known as the Sharqiya Sands. 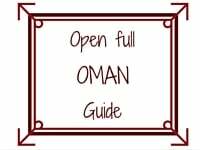 It is the most well-known by the tourist because it is easily accessible from the capital Muscat. 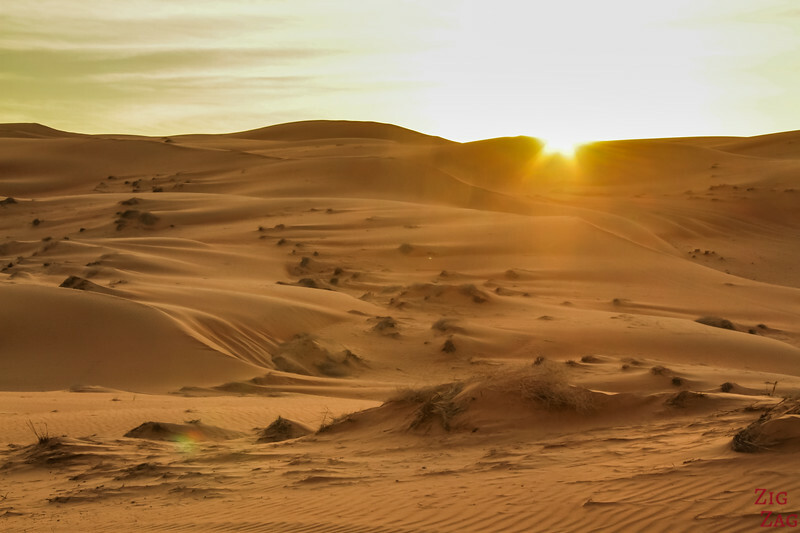 The desert cover 180km North to South and 80km East to West. Apart from the touristic camp, there are no permanent settlements, only bedouin temporary camps. 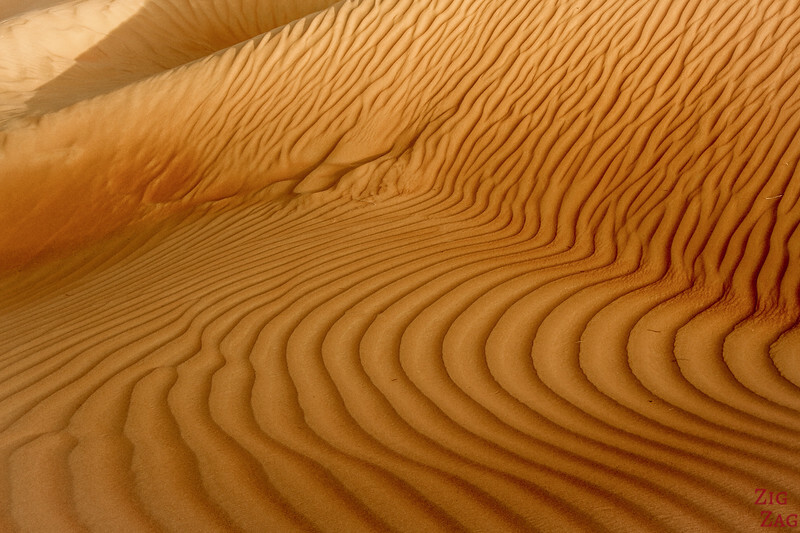 Have a look at Google Earth and you will see how longitudinal the dunes are from North to South. 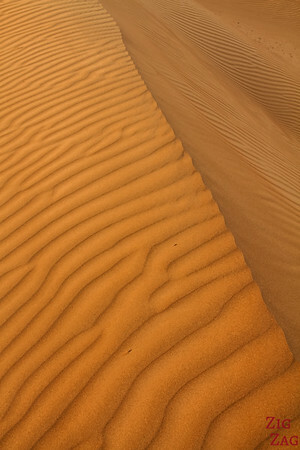 The Dunes of Wahiba Sands can reach 100 meter high. 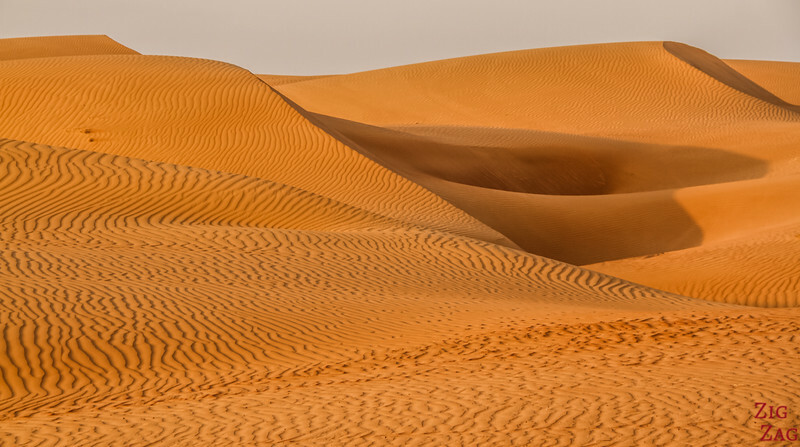 Bradt guide also recommends to go 7km further east from Bidiyah Castle to Al Huwayah to see an oasis encircled by sand dunes. On the Map, you can see with the orange dot the location of the desert and the 4WD tracks to enter. 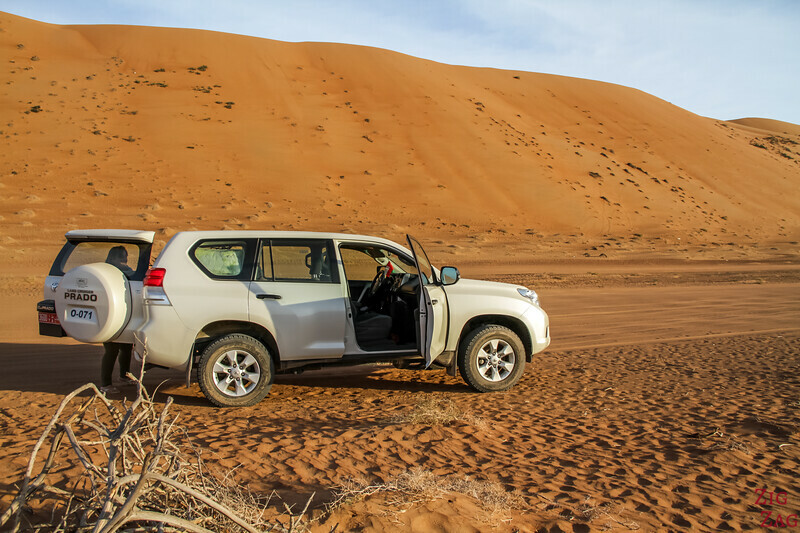 OPTION 1 - you rent a 4WD and are comfortable with driving on the sand, so you can get to the campsites in the wadis between the longitudinal dunes. Don't forget to bring plenty of water, flashlight and warm clothes for the night. The advantage is that you have all the facilities you need. 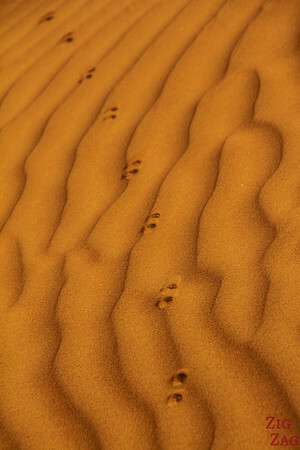 They are located in the flat areas between high dunes. 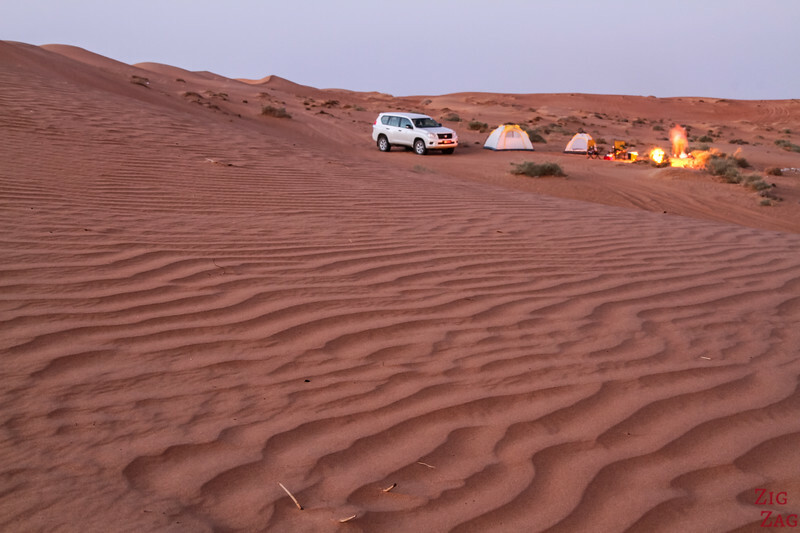 Camps include: the Desert Nights Camp, the Arabian Oryx Ca﻿mp, the Desert Retreat camp, Desert Wonders Camp and 1000 nights camp. Thanks to my guide I went wild camping. 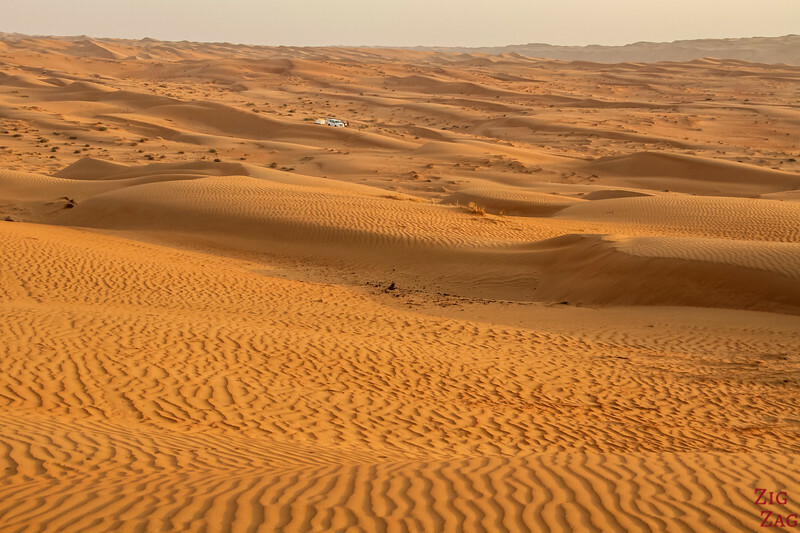 We drove past the campsites, as the dunes are smaller there. 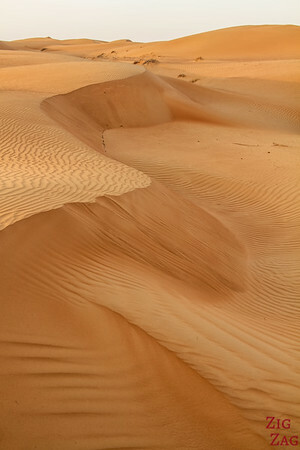 However they are still big sand dunes. Only experienced 4WD driver should attempt it!!! The advantage is that you can wander and be on you own! As you will see later, I wandered for sunset and sunrise and it was fantastic!!!! See where I left the car? 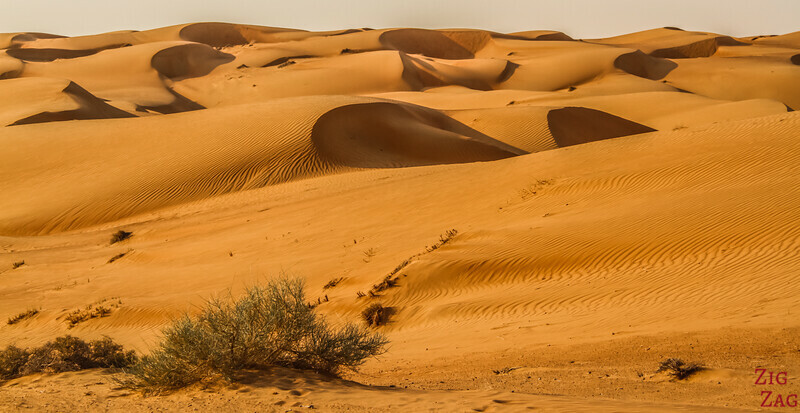 With my guide we entered the desert via Al Wasil. First we stopped to remove some air from the tyres. A local stopped by and gave us a hand. Omanis are so sweet! In Al Wasil you will find many mechanical shops if you need help. As you can see, they really start just like that. 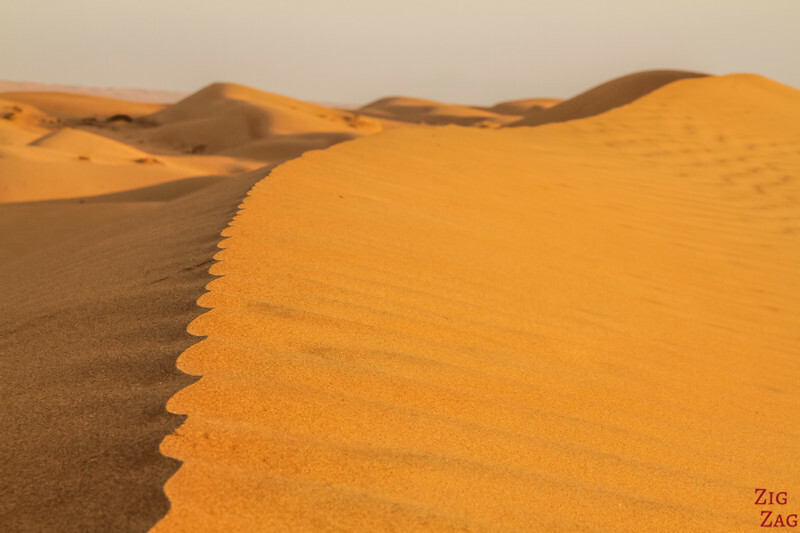 It is all flat in front of you and then the dune starts. On the way in we drove on one side along a high sand dunes. 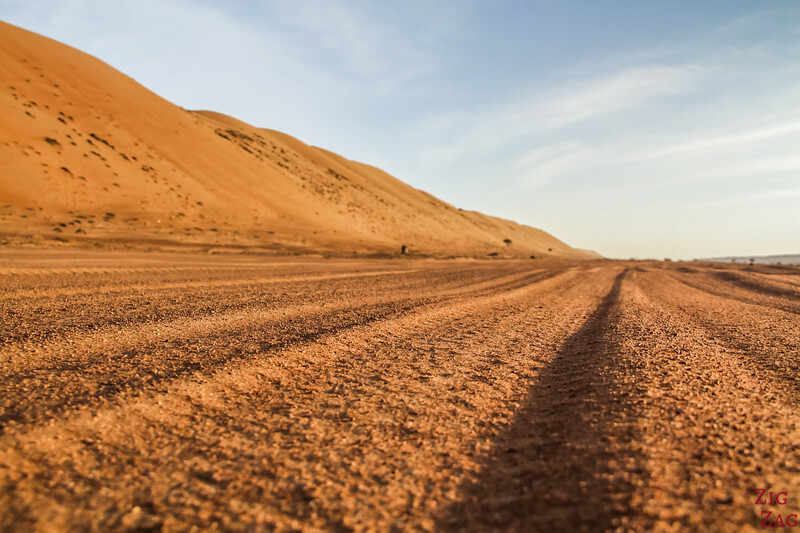 This was a sand track allowing us to drive quite fast. 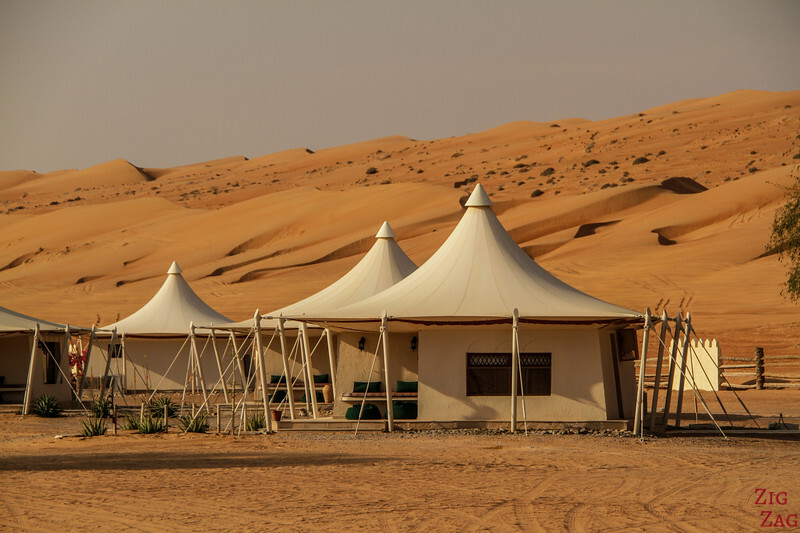 We drove past 2 permanent touristics camp: the Desert Nights Camp and the Arabian Oryx Camp. 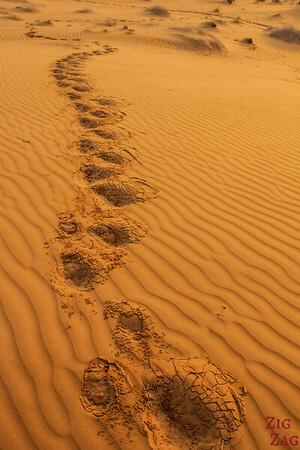 We continued furthered until the track disappeared and the dunes started. 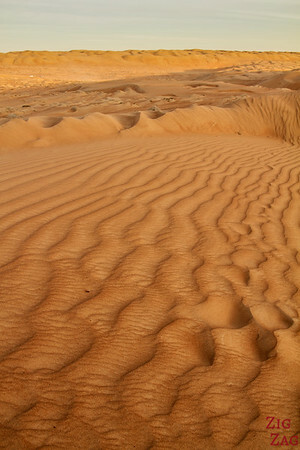 My guide chose this place, because the dunes are smaller and it is easier to drive and find a camping spot. 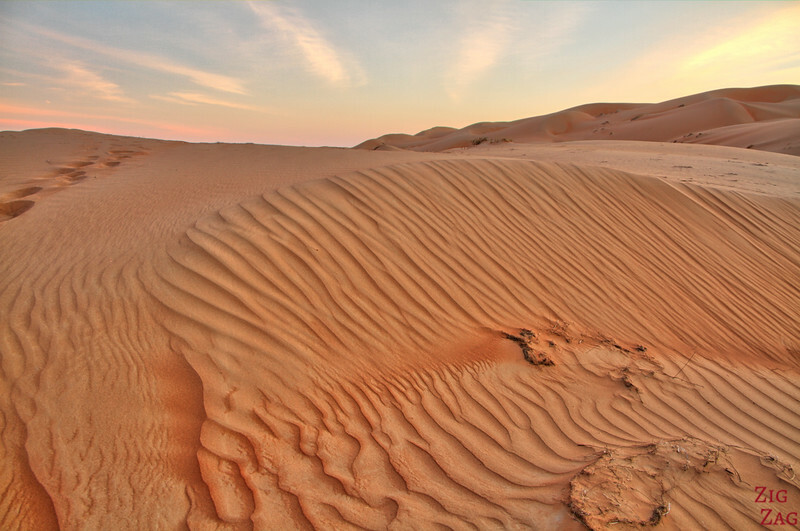 While my guide was setting up camp, I walked around and admired the dunes changing colors as the sun set. I took hundreds of pictures and it is hard to select only a few. After a good night sleep in icmplete silence, I woke up early to be sure not to miss the sunrise. Not magnificent clouds but a peaceful feeling that I miss. 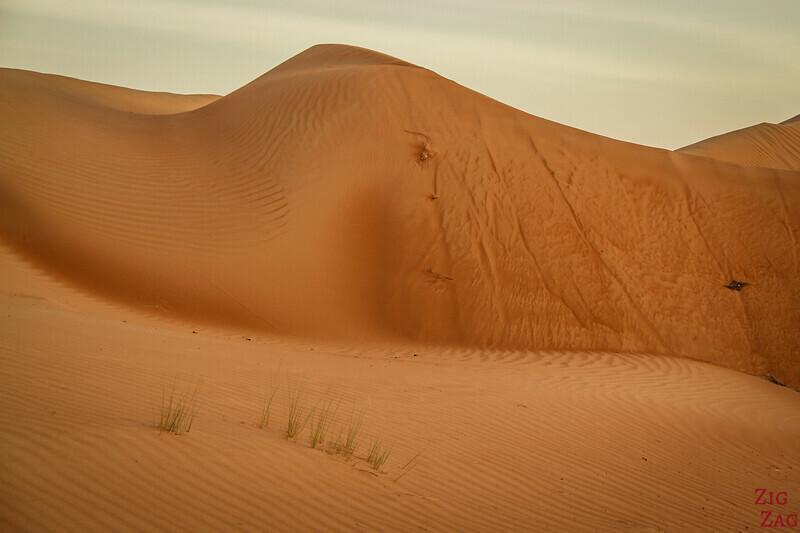 A little later I heard a rooster so a bedouin family must have had settled on the other side of the big dune. 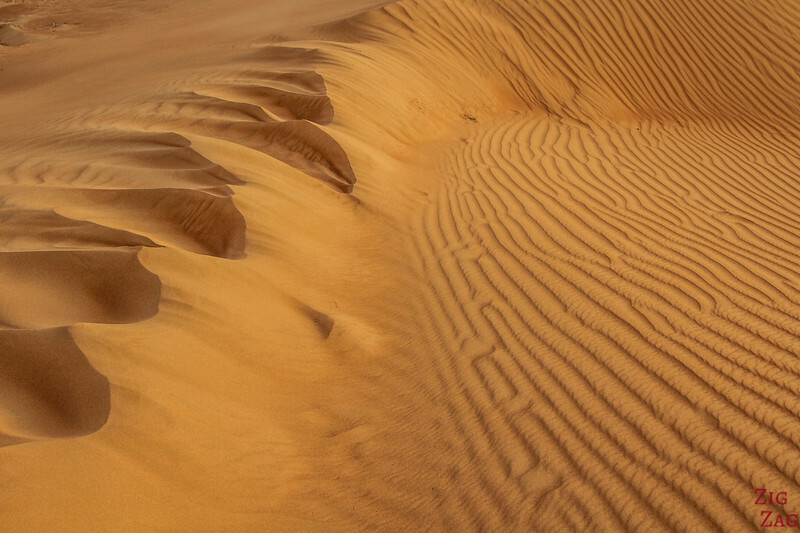 As I had time, I walked higher and higher and discovered different shapes of dunes. 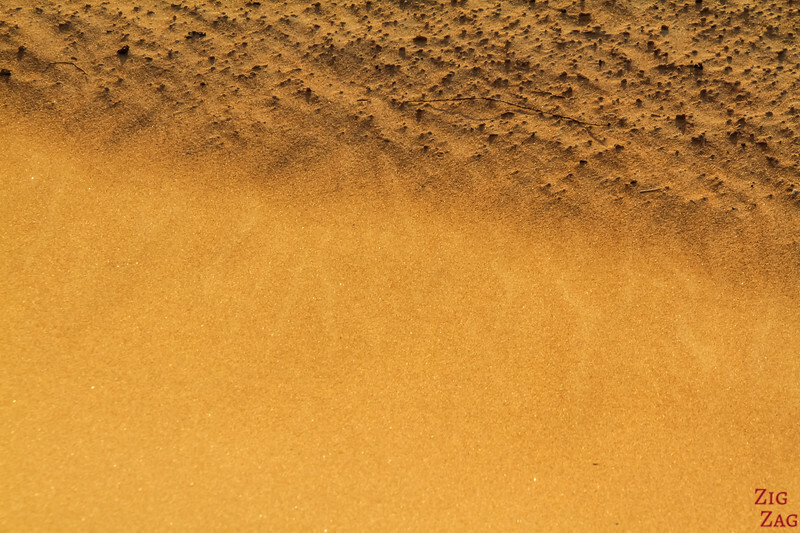 Here are some close shots at the sand texture and the lines created by the wind. I hope you will enjoy them. On my evening walk, I spotted a half face in one of the dune. Can you see it? 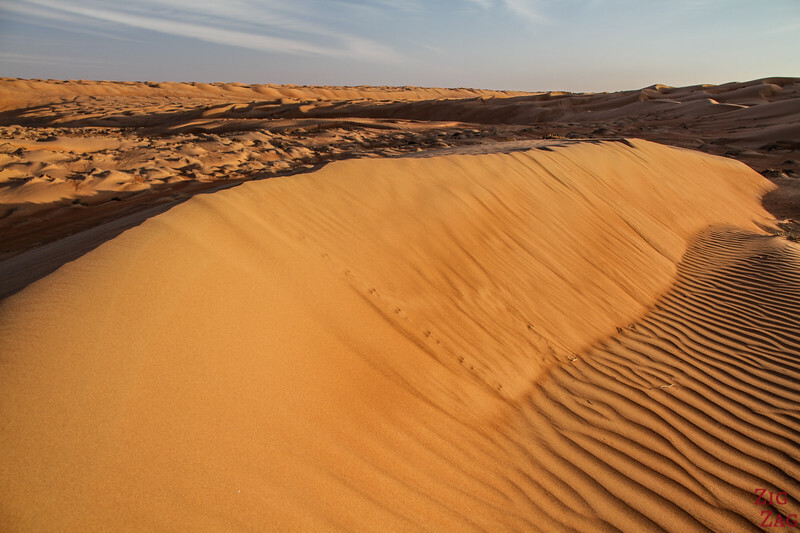 Do you enjoy sand dune deserts? We would really like to do the same but have never driven on dunes. How did you find your guide? I have found my guide on ToursbyLocals. Not many guides have the equipment and the willingness to camp though. I used Valentina from VS Tours. That part of her service was really good. The question is to be able to find you way out. 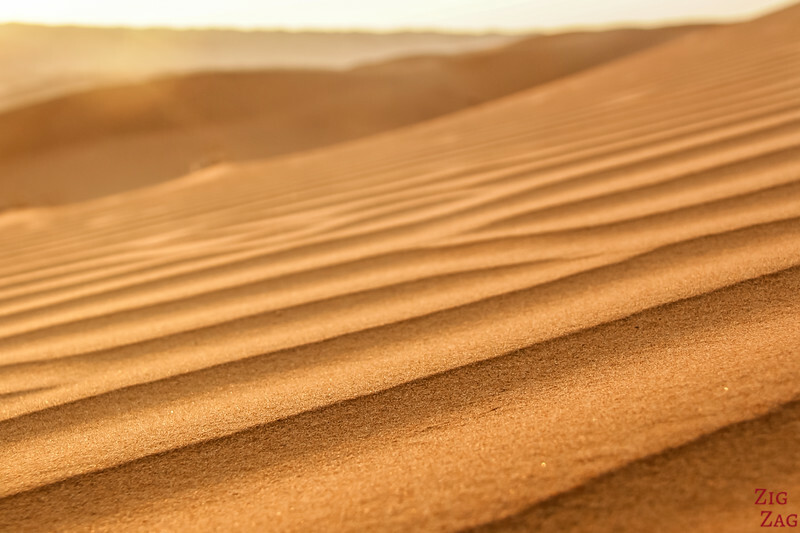 But I think if you go to the end of the dried wadi where the camps are, then go past only 2 small dunes you could already feel alone and not get lost. However I would not go further without a guide. 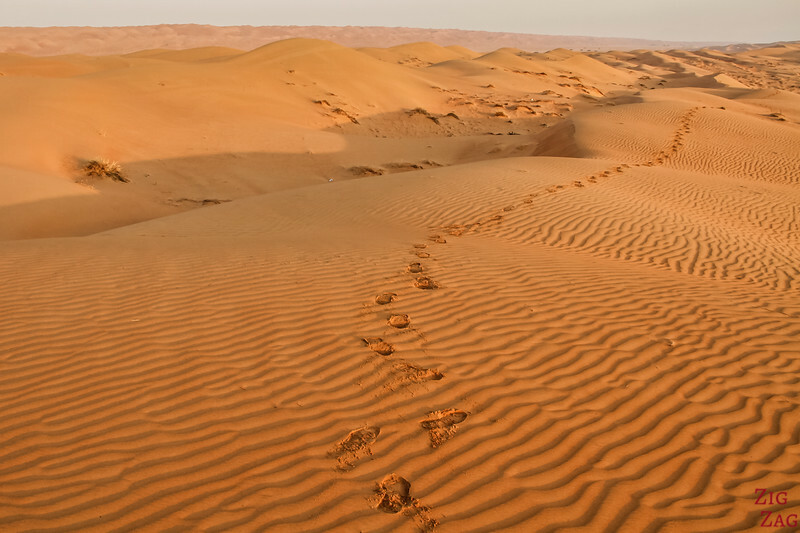 It always look like you can see where you are going but dunes are treacherous. 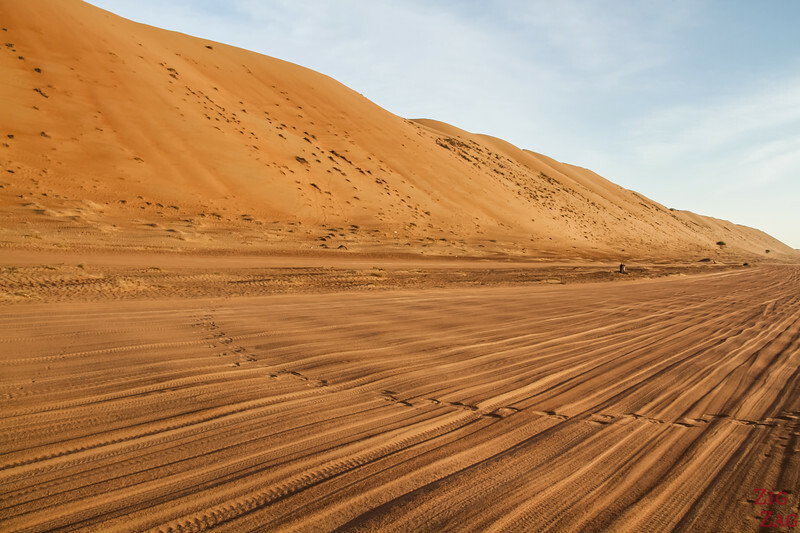 However the most important question is : are you capable of driving a 4×4 on sand dunes? Wishing you a wonderful trip! 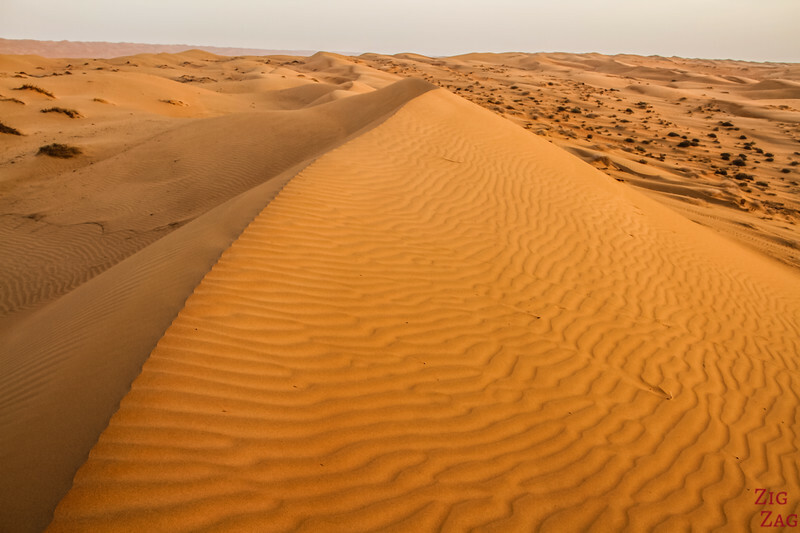 Un des plus beaux désert du Monde avec le Wadi Rum, le Namib , l’Ennedi ou le désert blanc. 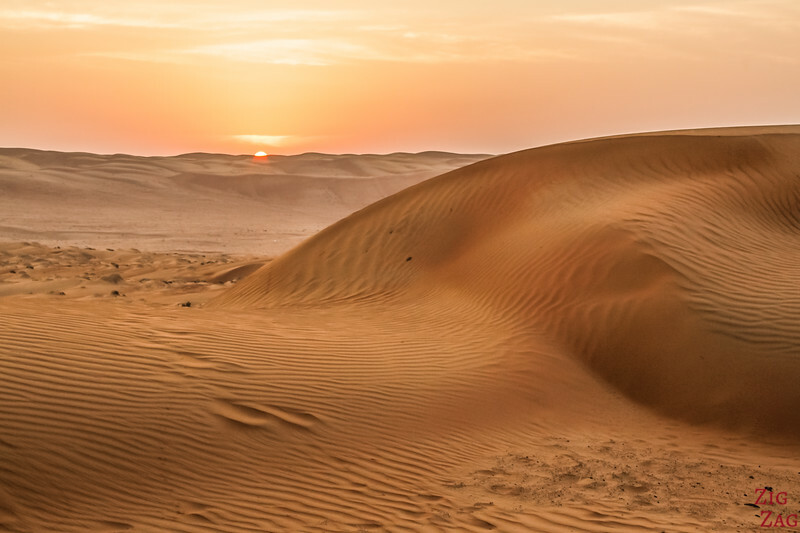 We just arrived in Oman, and I am loving all your photos – which are gorgeous – and advice – which is super helpful! Thanks a lot!